(25.1% THC) This INDICA-DOMINANT HYBRID is a cross between Strawberry Banana and Kosher Kush. The flavor profile is fruity with a strawberry-banana smoothie taste together with piney kush notes. Our single-origin pre-rolls are grown and packed fresh at our farm. 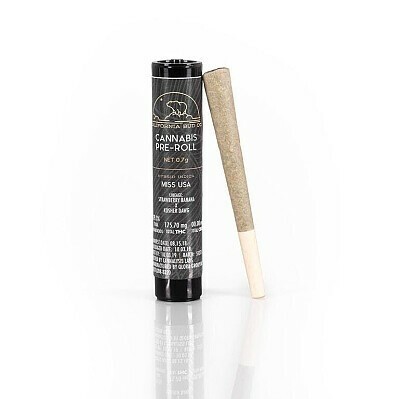 The hand trimmed buds are broken down into a fine consistency and rolled tight to ensure a clean burn.